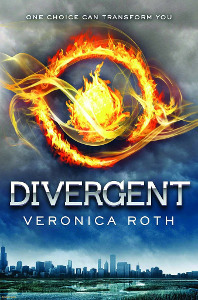 Jai Courtney (A Good Day To Die Hard) will join Shailene Woodley (The Secret Life of the American Teenager) in Divergent, based on the dystopian Veronica Roth novel often being compared to The Hunger Games in young adult circles (and not just because of the similar-looking symbol on the cover of the book…). Divergent is about a future in which everyone is divided into factions based on their personality. Those who don’t fit exactly into one of 5 factions are labeled as Divergents. Beatrice “Tris” Prior (Woodley) is a Divergent, showing traits of 3 factions. After undergoing a trial to join the brave Dauntless faction, she discovers what it really means to be Divergent – and why it can be dangerous. Courtney’s role has not been identified yet. Evan Daugherty (Snow White and the Huntsman ) wrote the script and it will be directed by Neil Burger (The Illusionist ).